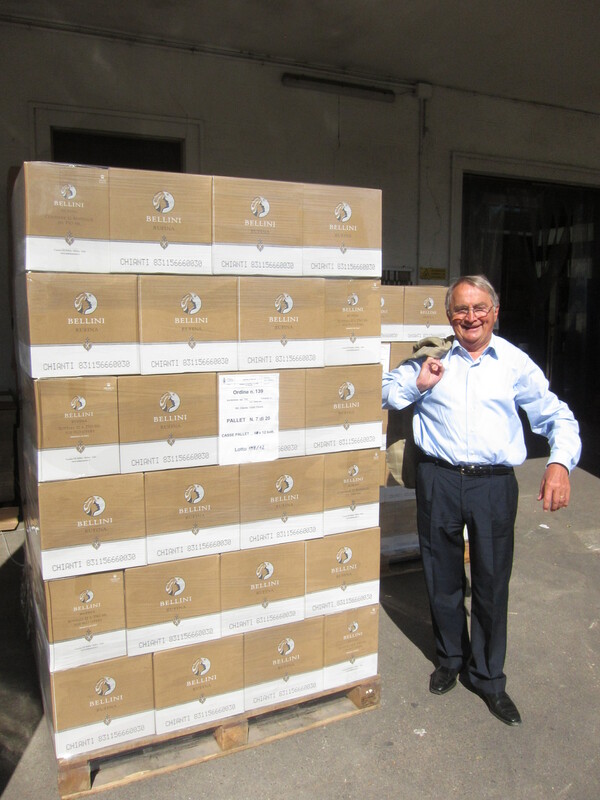 Alfio Moriconi is Total Wine & More’s Vice President of European Imports and Sales, and he has been in the wine business for over half a century – first as a retailer, then as an importer. 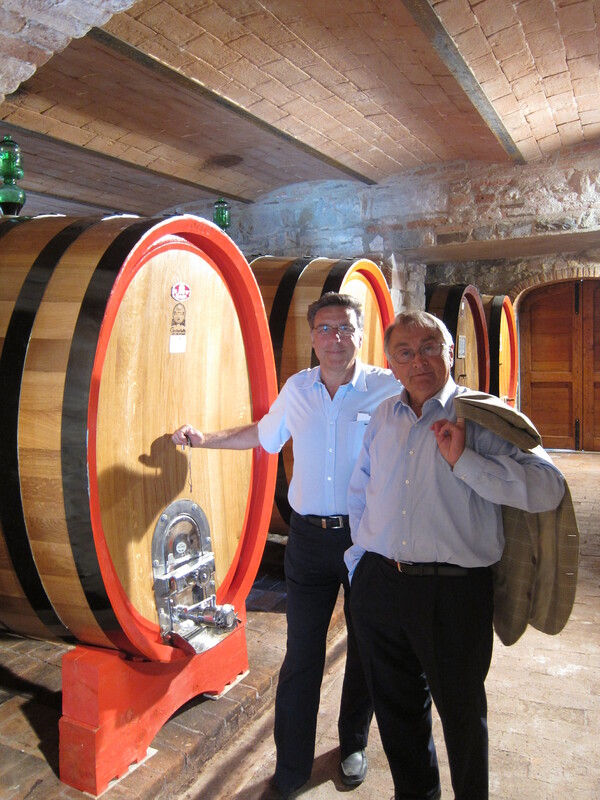 Alfio has traveled frequently and extensively to Europe in search of small, family-owned wine producers in France and Italy. You can find Alfio’s gems at your local Total Wine under the “Alfio Moriconi Selection” section, and you can also find his name on the labels of some of the wines we carry. The Alfio Moriconi Selection represents the top picks of over 40 years of Alfio tasting thousands of wines, selected and presented as nothing but the finest. 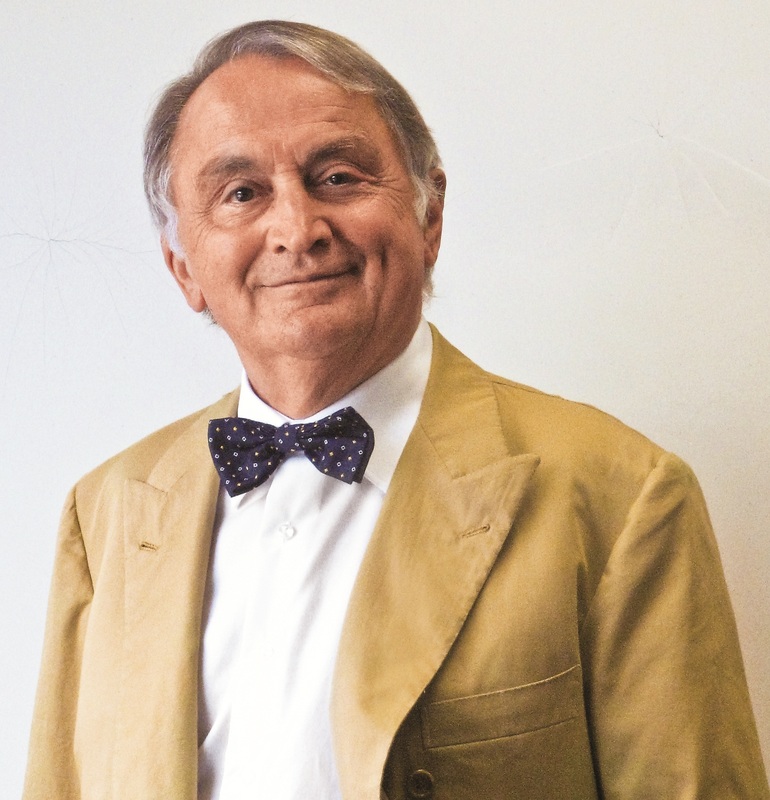 And with this, Total Wine is proud to present the Alfio “Bowtie Diaries”! 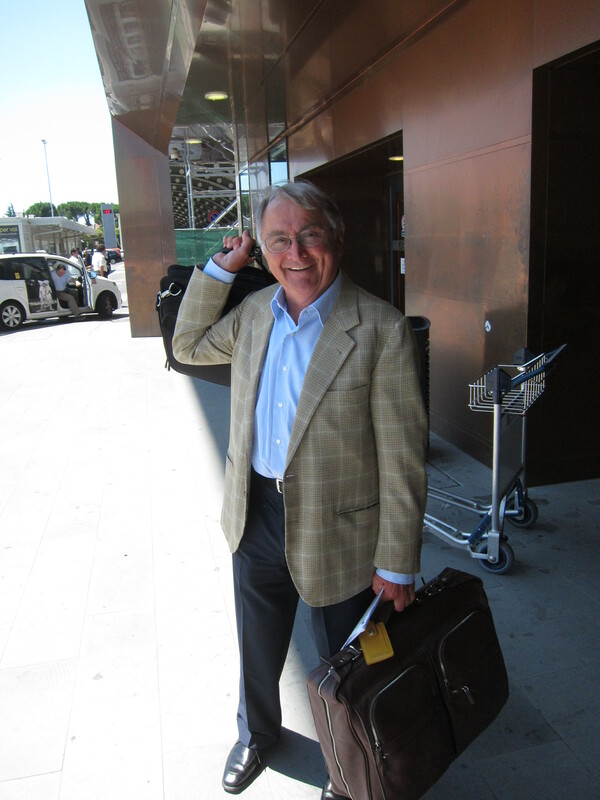 We met up with Alfio at the Florence International Airport with his briefcase in hand ready to take on Tuscany. Usually seen with his signature fashion trademark, a bowtie or cravatta, he surprised us with his casual look, sans bowtie. With the 40°C heat wave (that’s over 100°F) in Tuscany, apparently fashion doesn’t always come first – but don’t worry, he still had on his sports coat! Our first stop was Castello del Trebbio in Chianti Rufina, a small region just northeast of Florence. 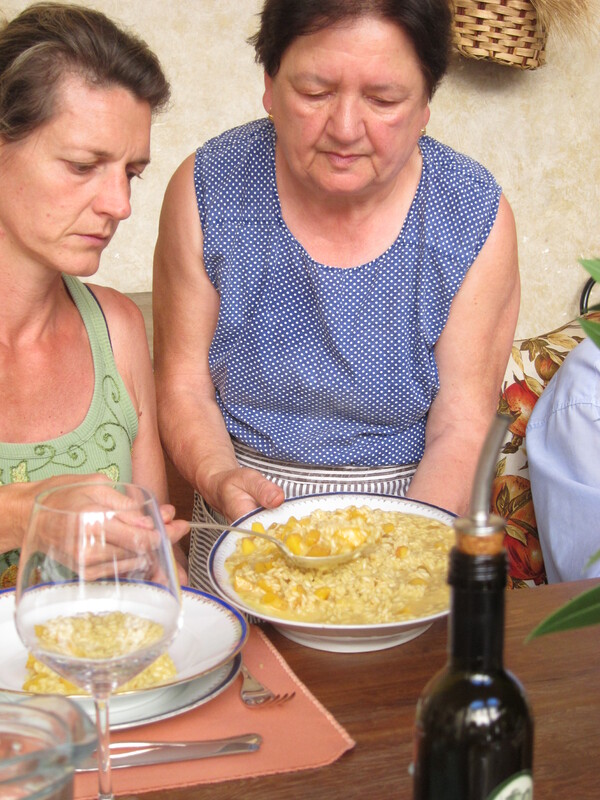 Anna Mira Baj-Macario, the owner of Castello del Trebbio (known to locals as “Anna with the Castle”), welcomed us to her beautiful 12th-century estate with an amazing Tuscan feast! 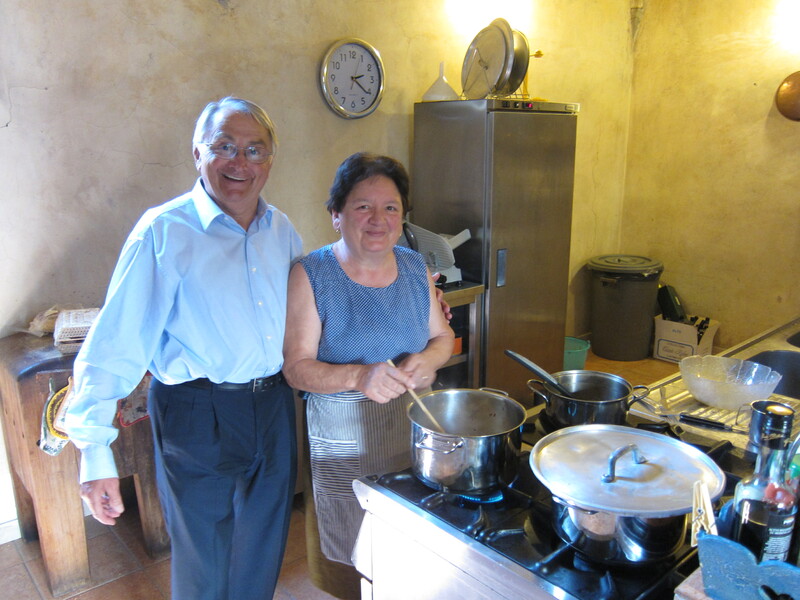 Anna Mira and her family have dedicated years to refurbishing the castle where they currently live and to producing an amazing Chianti on the grounds in the surrounding valleys. For lunch we had a saffron and peach risotto, followed by a chicken roulade (chicken, prosciutto, egg and sage) and tiramisu for dessert. We ended the day visiting Maurizio Masi at Cantina Bellini, to check-up on an order that was just put together to ship to our stores. Maurizio is the latest generation of Bellini family members to run Cantina Bellini, which makes the Bellini Chianti and Il Pozzo Chianti found in our Tuscany section. After our long travel day from the States to Florence, we were ready for bed and resting up for our trip tomorrow to Montalcino! Buona Notte!